Hi loves! 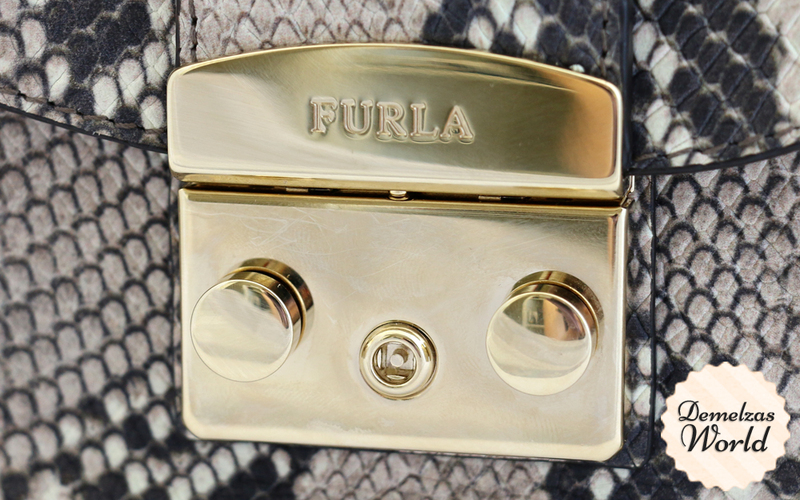 Today I want to show you my new Furla Metropolis bag and give you a full review 😀 I’m so happy with this bag, it’s time to tell you all about it! Let’s start!!! 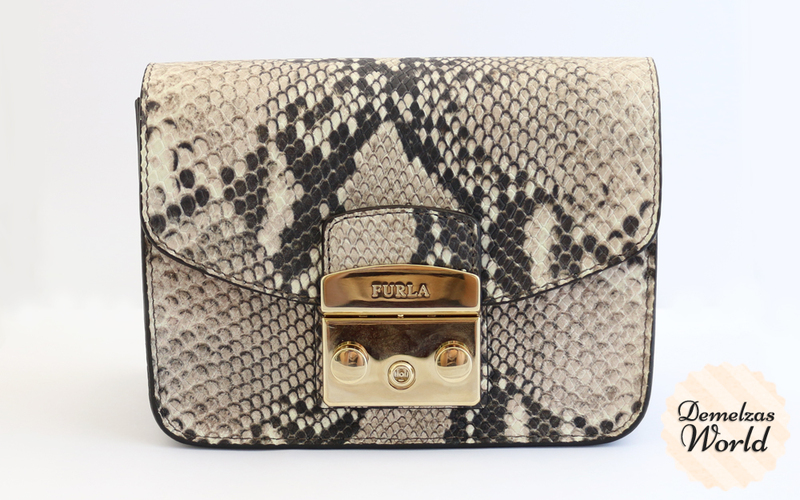 I always loved snake print but some bags look tacky with snake print, some bags have real snake skin and I don’t want that, and some others I didn’t like the quality. 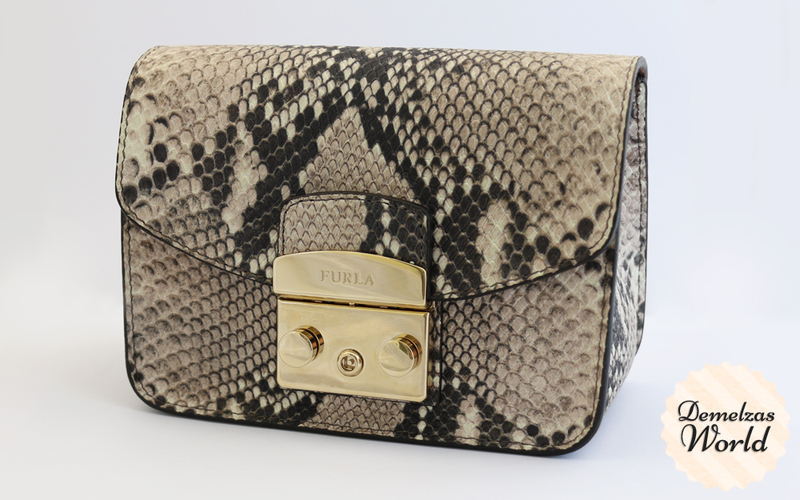 When I saw this bag at Furla I loved it right away! 😀 The size is perfect (lately I’m really loving small bags) and the leather feels so soft and sturdy… really great quality! I also prefer bags that I can wear cross body so I have my hands free. Although I want to keep my purchases to a minimum because we just bought a new house I couldn’t just leave it, and since it was on sale it was a great excuse to buy it, right?!? The back of the bag is just one piece, there is no back pocket. 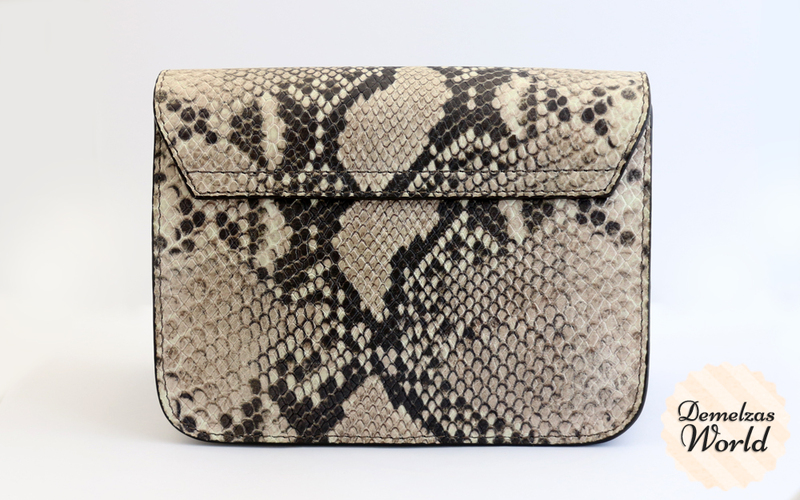 Because of the lighter color of the snake print you do need to be careful with darker jeans otherwise you get blue color transfer on the back of your bag. As you can see in the middle of the lock there is a tiny keyhole, the key is on the strap of the bag you so can lock it if you want! 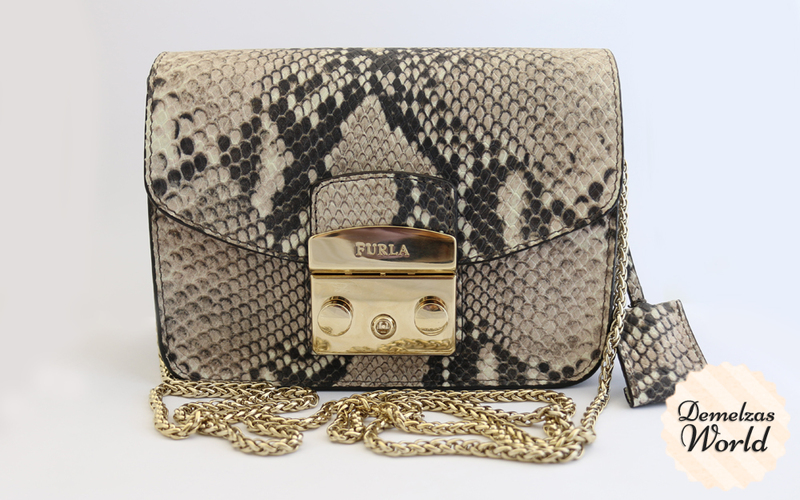 The bag comes with a long golden chain so you can wear it crossbody or double the chain and wear it as a shoulder bag. So how much stuff fits inside? Let me show you! Here I’ve added my iPhone 6 (the plus version fits aswel), my medium sized wallet, my key holder, a lipstick, a lip cream and there is still a little bit of space left for something small. Love the size, and love the length of the chain. 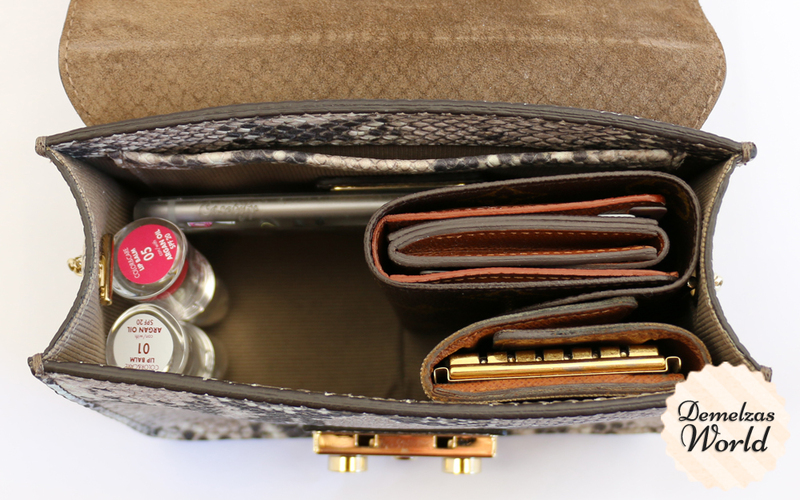 When I want to wear it cross body the bag is a little bit underneath my hip, the perfect spot! I’m so happy with my purchase and especially because I found it with 30% off! You can find the Metropolis bags on the Furla website or in their stores, the prices vary depending on the bag you choose but they start at 220 euro.